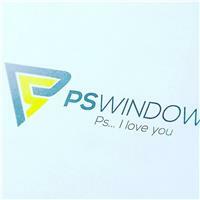 PS Windows Ltd - Fascia/Soffits/Guttering, Windows/Doors/Conservatories based in Lowestoft, Suffolk. Supply and installation of all aspects of Home Improvement and if you are a homeowner who is eager to make the most of the choice and freshen up your home then you have come to the right place. Visiting our web site is your first stop in finding everything you need to do just that. We install everything from double glazed and triple glazed windows, upvc doors, composite doors, bi-folding doors, fascias, cladding, guttering, glass replacement as well as beautiful decking systems. We have made our web site as comprehensive and self-explanatory as possible because we want your purchasing experience to be as simple and stress free as possible, we only want happy customers. Happy in the knowledge that you will have no worries about the quality, the strength or the security of our products. They are, after all, designed not only to give you superb security but also a beautiful addition to your home. Our doors and composite doors boast the finest multi-point locking systems, courtesy of Yale. You can even upgrade them to Secured by Design approved status, if you wish, which introduces further security enhancements. Our windows come A rated as standard in both double and the new triple glazing systems giving you fantastic energy savings as well as noise reduction. Our Windows are also available in a variety of finishes from White, Oak, Rosewood to Chartwell Green, the choices are endless. So confident are we in the lifespan of our products, that we offer them with a 10 year guarantee. That means 10 years without your door in any way cracking, peeling, blistering, chipping or flaking. We at PS Windows pride ourselves in a simple no fuss manner. There are no fake offers and gimmicks just one price and one price only! What you see IS what you get! PS Windows serves the following areas; Norwich, Lowestoft, Great Yarmouth, Beccles, Bungay, Ipswich, Norfolk, Suffolk, Essex as well as London. So contact us today for a no nonsense instant quotation!